BK Services provides a full range of landscaping services, including design, installation, and maintenance. Since 1992, we have been enhancing the value of residential and commercial properties with "hardscapes" and "softscapes" that endure and thrive in southern New England. We begin every project by understanding your needs, and we do not consider the project finished until you declare that those needs have been met. We use only the best materials, pay attention to every detail, and select the healthiest plantings. From excavation, to installation, to clean up, our first priority is your complete satisfaction. Should you select one of our maintenance programs, we will ensure that your landscape continues to beautify your home or business year after year. In order to provide you with the highest quality products and services, we continually invest in furthering our own knowledge and skills. For example, to guarantee proper installation of hardscapes such as walkways, patios, and driveways, we received training and certification from the Interlocking Concrete Pavement Institute, the leading organization in this field. In addition, we are certified installers of Ideal Block and Cambridge Pavers, two of the most highly regarded products on the market. To further develop our knowledge of softscape plantings best suited for our region, we took courses given by the Connecticut Nurseryman's Association. We also took classes in organic lawn care from the Northeast Organic Farming Association. As an active member of the Connecticut Grounds Keepers Association, BK Services participates in many of the events sponsored by this organization. To ensure safe application of pesticides, we attended a 12-week course given by our state Department of Environmental Protection. After passing its tests, we obtained our Connecticut Commercial Pesticide Applicator Supervisory License 3a (B-1505), and we attend additional classes yearly to maintain this license. In the unlikely event that a problem arises with any of our installations, rest assured that we maintain a Connecticut Home Improvement Contractors License (#612974), which gives you the full support of the state Department of Consumer Protection. We also carry Worker's Compensation Insurance and full liability insurance, so that you do not become liable should an injury occur during one of our projects on your property. BK Services is owned and operated by father and son, Bruce and Todd Kasack. 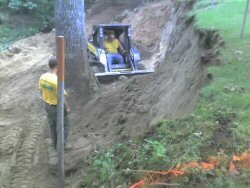 With highly skilled personnel and well maintained equipment, the company welcomes even the most challenging landscape project. Bruce Kasack started BK Services, LLC in 1992 with a commitment to serve clients with the highest quality products and workmanship. 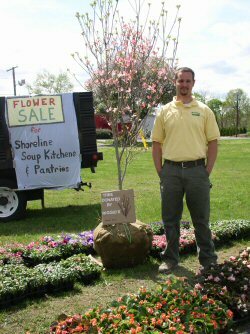 Todd Kasack attended Vermont Technical College, where he participated in the Landscape Development and Ornamental Horticulture program.